Looking for easy, reliable and fast web hosting? Take control by using the industry's standard for control panels. Enjoy free telephone and online technical support from 8:00 - 19:00 CET, guaranteed 99.9% uptime, and money back guarantee. Web Solutions’ award-winning data processing center will facilitate continuous and efficient operation of your site. Our hosting service is a flexible solution for companies using a website designer and an advanced option for designers and developers with hundreds of web applications available at a click of a mouse. 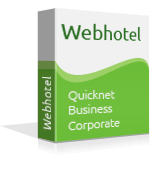 With the annual Webhostel server package, there is no transfer limit. Backups are performed daily to ensure continuous availability. Most applications, such as WordPress, Magento and other, are available for installation with just a few clicks. Professional technical support is provided by qualified staff. Our hosting offer allows you to publish web pages, manage ftp accounts, data bases and email boxes as well as to point domains to websites. Choose the hosting package that best suits your needs. This hosting offer is aimed at Internet users specialising in search engine optimisation (SEO) and website positioning. This hosting offer should meet the needs of the most demanding users who need a hosting package for Internet services. Our hosting service supports the most popular scripting languages ​​such as PHP7, PHP5, Perl, Python, and CGI. They facilitate access to databases and display dynamic content on the page, so you can implement functionality according to your needs. You can also use MySQL 5 databases. Their number depends on the selected package. Git, a distributed revision control system, gives you complete control over successive stages of development of your project. Tired of inadequate customer service and server problems? Select Web Solutions – the best web hosting service for your needs. Reliable hosting servers that operate 24/7 and constant monitoring paired with excellent customer service – that's what you get! Building a website from square one can be a tedious and exhausting task. Fortunately, upon the installation of some helpful pre-built applications you can create a fully functioning site in minutes. Here at Web Solutions, we identify them as 1-Click applications. 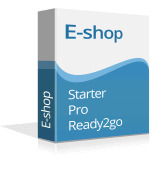 Once you've selected and installed the application of choice, the 1-Click Installer takes over and performs all the hard work for you, including creating the required database, copying files and setting an administrator account for you. List of extra features for virtual servers available to order via the customer panel or through support.